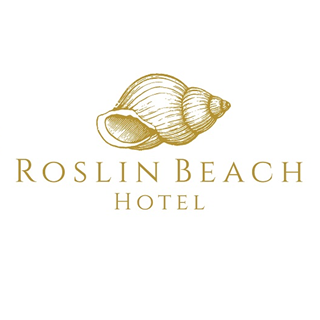 Occupying a grand seafront location in Thorpe Bay, the Roslin’s immaculate presented fine dining restaurant offers fresh local cuisine in relaxed, comfortable surroundings. The Head Chefs demonstrate their creative flair with an inventive modern menu, capturing the seasons perfectly. The elegant restaurant occupies an ideal vantage point to view the comings and goings along Thames Estuary. With a large heated terrace to the front, al fresco dining can be enjoyed even throughout the cooler autumnal months. It would be hard to imagine a more picture perfect venue to enjoy a quick mid-morning coffee or a well earn weekend away, whatever the occasion. The Roslin has a four silver star rating and one Rosette Award from the AA. Dining at Roslin Beach Hotel never disappoints. Every aspect is excellent and I particularly love the range of the various menus offered. I am mainly vegan. It is great to go to a restaurant knowing that I will be well catered for. Thank you. One suggestion: the table for 3 sited next to the door for staff leading to the outside terrace is not comfortable. It is an obstacle and should be removed. My guest's chair was constantly being knocked by staff going back and forth. Lot of confusion due to Easter weekend. Not big choice from the menu and quite expensive. Great venue great setting, we were really impressed with the service, really attentive but not smothering and always someone available. The staff had a very good knowledge of food and drink which seems to be rare in this country. My Husband and I were celebration our Wedding Anniversary on our visit. The service from the moment we walked in until leaving was superb. Our waiter even found us a romantic window seat when we asked to be moved further away from the bar area. The food was delicious, although perhaps the portions were too much, hardly room left for dessert!!! Altogether,  a wonderful evening, hopefully a return visit in the near future. booked for 7.30 arrived to be told breakfast was at 8... maybe should have contacted to advise of different times over the bank holiday period. Great visit and despite it being very busy the service wasn’t affected. We came for lunch on Easter Sunday. 5 of us were squashed on to a table that only really would seat 4 people so it was a bit uncomfortable. The lunch was £33.50 each which was more expensive than the £27.50 we had been previously told when we made the booking. One of the servings of tuna to start had cling film amongst the food. The waitress took it straight away & told the chef but didn’t take it off the bill. It wasn’t until we got home that we realised we had paid for it! Also- the 2 trouts that we had for a main we’re very slightly under cooked. We have found that our last 3-4 visits to the Roslin have been very hit & miss with the food. we spent a very pleasant afternoon at  the Roslin, the food and service was exccellent and helped to make our wedding day special, Thank you. sticking out of the sphere and the sauce was cold.Not the wow facter we were expecting!!!! Great Sunday roast ! Can’t wait for next time . This was my first visit and will certainly not be my last. Loved everything about the hotel and restaurant and will be booking to stay with yourselves for a break. Also I am really interested in your packages for Christmas Day etc. Could you please provide me with some information. Thank you. Very enjoyable lunch although I didn’t think the rib of beef was worth the additional cost so I wouldn’t choose this again but otherwise it was very nice. Unfortunately my friends and I did not have a great experience. For dinner I asked for the prawns without seafood sauce and was told it is ready mixed (was very surprised) instead I asked for the fish but wanted it grilled not pan fried. Again my request was declined as ‘we are not grilling fish this week!’  Due to Dietary requirements I am unable to have a lot of oil or sauce. I have no problem eating out but struggled in your establishment. My spa experience however was fantastic. Really nice ambience and lovely food. It was my mums 80th birthday lunch. Our waitress Anna Marie was fantastic. She helped me decorate the table and was very friendly, attentive and professional. It was a really lovely afternoon. I was very disappointed with my visit Sunday. I came about a month ago with my husband and it was lovely . Yesterday our table was in the waiting area I felt like we was just an onerflow and where the tables met they were at a different height and that was hiow I had to place my plate! The waitress was rude! The food was Luke warm and vegetable came out along time after the meat!! I came for s special occasion and brought my family as I was so pleased last time I won’t be recommending again!! Very disappointing considering I booked this some time ago !